Miss 3 came to me with this idea to make her thongs (a.k.a. flip flops) into "fairy thongs". First we selected a bunch of ribbons and I used a lighter to carefully melt the ends to stop them from fraying. 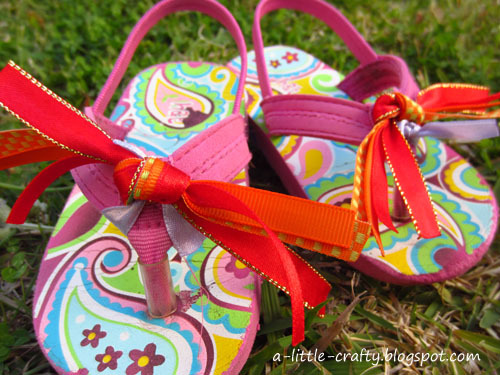 I tied one ribbon around the front strap of the shoe, on both sides of the toe piece (making a rough figure 8 shape). We then threaded the ribbons through that first ribbon and tied them in a knot. 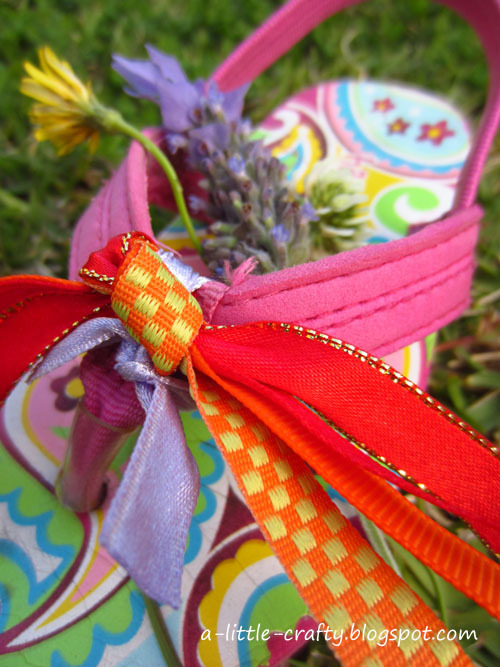 Note: If you find these come untied too often, try tying each ribbon separately.